The second cart from Canada is the Power Base FM, also known as Power Base Mini FM. 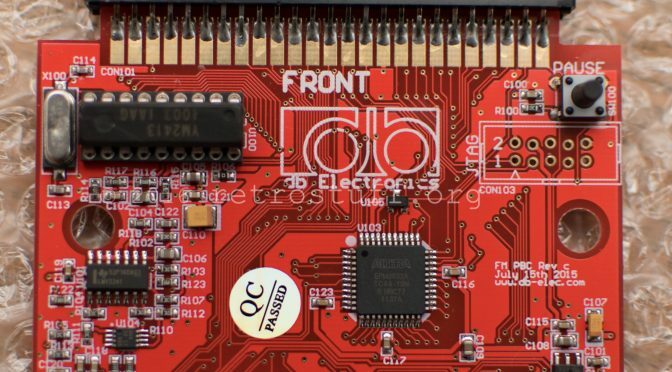 It is a mod-less attempt on enabling FM sound for selected Master System games on a Mega Drive. This cart is somewhat hard to obtain, it’s sold out in all stores but this one. On the next pictures you can see why it is called “mini”, its much smaller than the official Sega Power Base Converters. It fits in a regular Mega Drive cart, you have to cut holes in the top for the connector and the front right for the Pause button though. The JTAG connector isn’t necessary and was added just for fun. Sonic is still looking at you because there is no label available – the only one I’ve found is from Stone Age Gamer and kinda ugly. 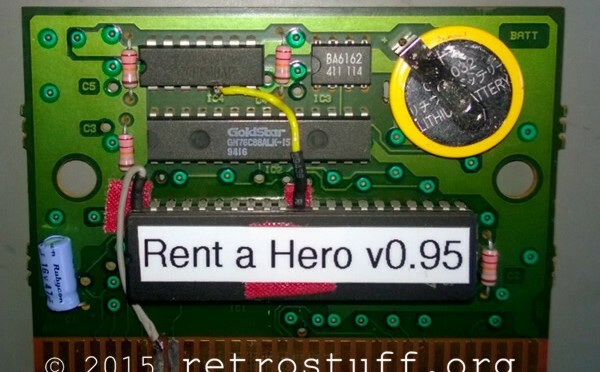 A fully playable translation of Rent a Hero has been released last month. 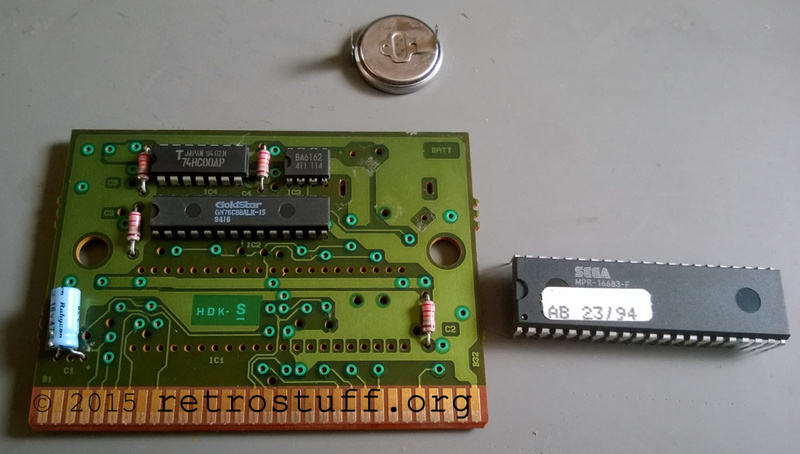 Let’s transfer it to a Mega Drive cartridge using this tutorial.